A case has been brought in the Federal Court by Professor Jenny Hocking to gain access to correspondence between the Queen and Governor-General Sir John Kerr concerning his dismissal of the Prime Minister, Gough Whitlam in 1975. The National Archives argue that the letters belong to Sir John Kerr’s heirs and are therefore subject to the directions given by Sir John. Professor Hocking is being represented by Gough Whitlam’s son, Anthony Whitlam QC. 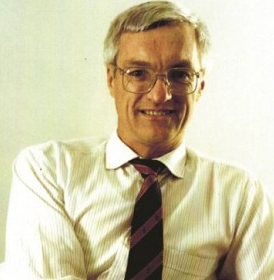 Sir John Kerr directed that the letters not be released until 2027, subject to the private secretaries to the Queen and the Governor-General each being entitled to withhold publication. Professor Hocking seems to be trying to implicate The Queen in Sir John Kerr’s decision to dismiss Whitlam. This is an exercise in futility, whatever the legal status of the letters. It is very clear that Sir John went to great lengths not to involve the Queen. The reason was that under the Constitution the decision was his. So he was determined not to compromise the Queen by advising her in advance. He knew that if he told her in advance, whatever she did, she would be attacked for a decision which was not hers. The constitutional rules are clear. A prime minister is under an obligation to resign or to advise a general election when he (or she) loses the confidence of the House of Representatives or, in those rare cases, where he cannot provide Supply to the government. It is of no relevance that this is not his fault and is the decision of the Senate. His obligation remains to provide supply for the proper functioning of the government. Where a prime minister does not so resign or advise a general election, at some point a governor-general will be obliged to withdraw the prime minister’s commission. Gough Whitlam decided not to resign or to advise a general election. Instead he decided to advise Sir John Kerr, in that famous audience on November 11, 1975, to hold a half Senate election. This was hardly a solution. At least one or more of the state premiers had indicated that they would advise their governors not to allow the election. In addition, any new senators would not take office until July 1, 1976. Before Mr Whitlam could give this advice, Sir John asked him whether he persisted in his refusal to advise a general election. Not obtaining such advice, Sir John Kerr then handed him a letter of dismissal. It is for the governor-general to decide when he should act and what notice he should give a prime minister. It was Mr Whitlam who put Sir John in a position where he was obliged to act by seeking an audience in which he would give clearly unacceptable advice. Sir John had also formed the perfectly reasonable opinion that the last feasible day for an election was fast approaching and that money for the payment of the Commonwealth’s obligations, including pay for the armed forces and the public service, as well as pensions would soon run out. Inevitably some will criticise him on one or other of these matters, and some will support him. Constitutionally he was invested with this reserve power as part of the checks and balances in our constitutional system. One of the criticisms of the Turnbull-Keating model in 1999, made by both republican and monarchist authorities in constitutional law (and by Australians for Constitutional Monarchy), was that the model reduced or neutralised this check and balance and was therefore highly flawed. When I prepared the first draft of the No Case for the Yes/No booklet sent to every elector, I included that argument. At that time, ACM was running the No campaign. Very precise, thank you David, including the generally unremarked fact that at least two State Premiers publicly stated their refusal to allow Senate election writs for their States before the constitutionally required date. I suspect that Hocking’s agenda is to find emotive “evidence” to support Shorten’s mooted plebiscite on a republic without a model. So who is paying Hocking’s legals, one wonders. Crowd-funded, according to one report I’ve seen. What surprised me most was that Anthony Whitlam is representing her. Or is he representing himself, or the Whitlam family? I would have thought (hoped?) a reputable lawyer would have run screaming into the night before allowing himself to be linked to such a ridiculous waste of judicial resources. I have no bias towards the British monarchy whatsoever. I find the pomp of a Crown somewhat ridiculous, actually. Probably I would have lost my head for insolence in an earlier time. 1975 here in Aus, though, unequivocally showed me two things: 1) the British monarchy has no realpolitik here, none at all; 2) the razor-sharp balance of Federal power between a sitting PM and the GG is the *only* thing in Aus politics I now trust even slightly. The whole purpose of the “republic” campaign is to destroy that balance – which is why a detailed model is so difficult for the republican advocates to be open about. So for the swivel eyed pushing superficial issues with an agenda they dishonestly refuse to delineate … ho hum. Ianl’s ‘razor sharp balance’ that separates the realm of government and that of The Governor General is seldom seen, until a constitutional crisis presents itself, as it did at the close of the Whitlam government. As such it represents a reserved power. The ceremonial aspects represent the separation of powers going back to 1688, designed to prevent the tyranny of an unchecked executive, or the anarchy of a parliament responsible only to itself. The pomp and ceremony ianl finds so ridiculous is there to remind us of three hundred years of constitutional history, of unparalleled stability and the residual dignity of constitutional government. To get some fetch of this, compare, if you can, the ravages of successive French revolutionary ‘governments’ when every shred of dignity had been savagely thrust aside in the name of a government of the people. An English form of government ensured even the king came under the rule of law. We have inherited this, and the echoes of pomp and ceremony we enjoy here are well deserved. The awe inspired by a coronation of a king and queen belong not just to a nation, but to the Commonwealth as a whole. If ever people have had any doubt about the wisdom of Australia’s constitutional status quo as a Constitutional Monarchy, they need only look to the United States as the most powerful example of everything that can go wrong with an elected Presidency. With rare exceptions such as Barack Obama, who was a special case because of his race, elected presidents are likely to be detested by at least half of the electorate throughout their term. By contrast, apart from Sir John Kerr, who sailed well beneath public notice until the Dismissal, few if any Australian Governors-General have aroused any significant degree of negative emotion regardless of which side of politics appointed them. Even if the foregoing were not a compelling argument against change, for me, the mere fact that Turnbull and Peter FitzSimons are in agreement and pushing for a Republic is sufficient to prove that the idea is a crock. Sorry, I thought John Kerr WAS a queen!! You’re a wery wikkid woman, Jody, but I like that in a person.